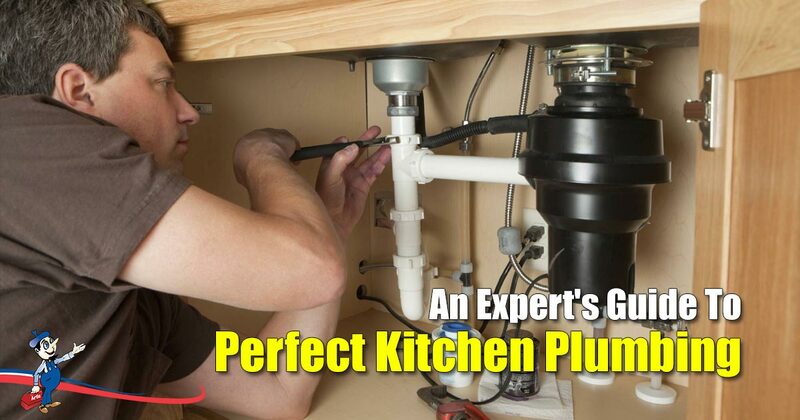 No homeowner wants to deal with any kitchen plumbing nightmares, especially in the new year. Unfortunately, you don’t really think about your kitchen plumbing unless a major problem arises. Many homeowners ignore things like little leaks from their faucets. Some are not concerned about water quality and others just don’t see the need for regular maintenance. Except, all of those homeowners will end up regretting that decision. Little leaks can become gaping holes, poor water quality can affect your entire household plumbing system and a lack of regular maintenance could lead to costly repairs. Regular plumbing maintenance is not something that should be overlooked. You may think that you’re saving money by skipping the bi-annual call to your local plumbing company, but you will end up regretting that decision. The point of maintenance is to ensure that little problems are solved and repaired before they become bigger, costlier issues. For example: with regular preventative maintenance, you will be able to find and resolve minor issues such as a leaky pipe before it becomes a much larger and expensive issue such as a burst pipe. Remember that hygiene in the kitchen is not something that you should neglect. While your garbage disposal may be the most convenient way to get rid of food waste, you have to keep it clean. Try to avoid sending non-food items down the drain as it will cause your disposal drain to clog. One way to keep your garbage disposal clean is to run it often. This ensures that everything is still in working order and you’ll definitely be able to hear if something is amiss. Do not inspect or investigate any weird sounds you may hear coming from your garbage disposal yourself. It can be dangerous, which is why you must enlist the services of a professional. Rather call your friendly plumber at Art Plumbing, AC and Electric to take a look. Your water quality can affect your kitchen plumbing if you don’t have the right water filters and softeners in place. Water softeners remove excess metals and minerals from your water. While calcium is great for your body, an excess of it in your water can damage your kitchen appliances. Water with an excess of metals and minerals is known as “hard water”. If you don’t have a water softener in place, there is a good chance of scale build-up in your pipes and fittings. If you would like to have a water softener or water filter installed, contact us – we’ll be able to advise you on the best water filtration or softening systems on the market. Your kitchen is a vital part of your home. It’s where you prepare meals for yourself and your loved ones. Making sure that everything stays in tip top shape should be a priority for you as a homeowner. If you neglect your kitchen plumbing, you will end up spending a lot more money on costly repairs and replacements. So, don’t ignore the little leaks, take note of your water quality and ensure that you regularly maintain your kitchen pipes. At the end of the day you need to use the services of a reputable, reliable and experienced plumbing company. Art Plumbing, AC & Electric is that company for you. Trusted in Florida since 1983, our services are unparalleled. If you’re having any issues with your kitchen plumbing or if you’d like to schedule regular maintenance visits, don’t hesitate to contact us at 1-800-475-1504.